The second day of the World Economic Forum (WEF) in Davos began Thursday with bankers and corporations in the spotlight, as the talk of regulation, compensation and oversight refused to die down, DPA reported. French President Nicolas Sarkozy, kick-started the gathering on Wednesday with a speech lambasting greedy capitalism, excesses and global imbalances - whilst making certain to assure business he was pro-market. Bankers, though still under siege even more than a year since the economic meltdown, continued to push for some self-regulation. Financial institutions should set up internal safeguards against problems that reared their heads in previous years, said Ferit Sahenk, a Turkish financier participating at the forum. 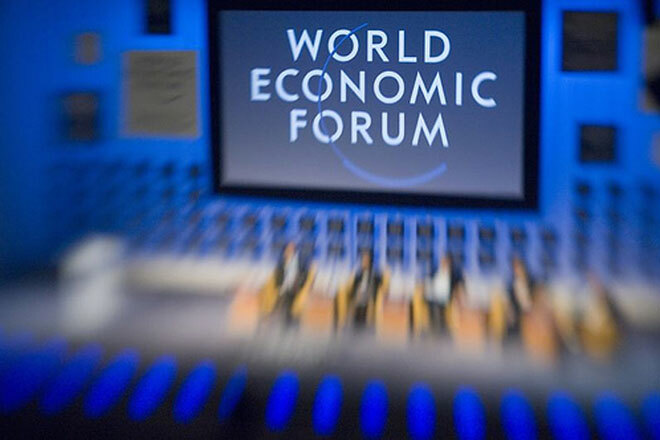 Davos this year is hosting some 2,500 participants, including top politicians, officials and leaders of industry. Concerns over the dangers inherent in short-term thinking in business were presented by Timothy Flynn, the chairman of KPMG, who said industry needed to take a long term approach that included the well-being of workers - though there were few concrete proposals. Unemployment, protectionism and the social fallout from possible civil unrest was also on the agenda, along with currency issues, trade and trust in corporations. South Korea's President Lee Myung-bak was set to address the WEF, just as his country was coming under artillery fire from the Democratic Republic of Korea to the north. Canadian Premier Stephen Harper was also set to give a speech, with his country being closely watched, as a major world economy that emerged relatively unscathed from the financial crisis. Latin American leaders, including President Alvaro Uribe of Colombia and Felipe Calderon of Mexico were in the Swiss mountain resort, along with Jacob Zuma of South Africa, Nguyen Tan Dung from Vietnam and Spain's Jose Zapatero. And former US president Bill Clinton was in Davos to help bring attention to Haiti, WEF officials said, as debates continued on the sidelines about the nature of humanitarian aid and the need to rethink the challenges incumbent in delivering assistance in emergencies.